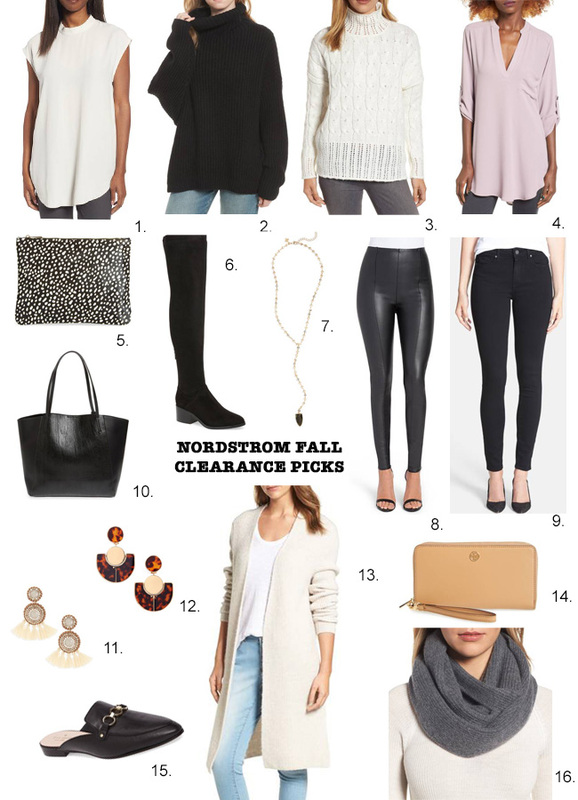 The Nordstrom Fall Clearance is currently happening and now is the time to scoop up some great closet staples. They always have the best sales with items that are already on my wish-list, in season, and currently 40% off or more. I picked up these jeans and can't wait to add them to my closet, I was truly lacking a pair of great black jeans. This is the perfect time to stock up on Fall/Winter items that will last you for more than one season and fill in anything missing in your wardrobe. I have this tunic in two colors and I wear them all the time. Highly recommend. I really want to add a pair of leather leggings and over the knee boots to my wardrobe as well this season. What are you shopping this season?